Earlier this month Ted Cruz supporters took all 13 of the delegates up for grabs at the Colorado GOP Convention to complete a clean sweep of the state. 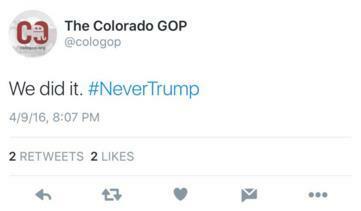 The anti-Trump politicians were passing around a “Resolution to Forbid Colorado Delegates from Voting for Trump” for weeks before the convention. It was Ted Cruz delegates who scrapped the primary back in 2015. 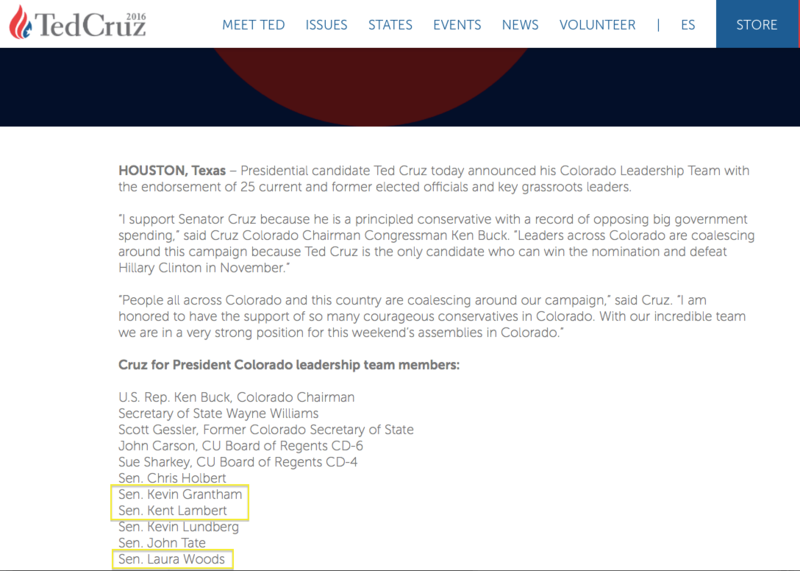 Social media posts, along with Cruz’s campaign website, reveal that Sen. Ted Cruz (R-TX) supporters in the Colorado Republican Party were responsible for crushing an effort to give Colorado the ability to vote in a state primary. The four Republicans who voted against the initiative were Sen. Kevin Grantham, Sen. Kent Lambert, Sen. Laura Woods, and Sen. Jerry Sonnenberg.